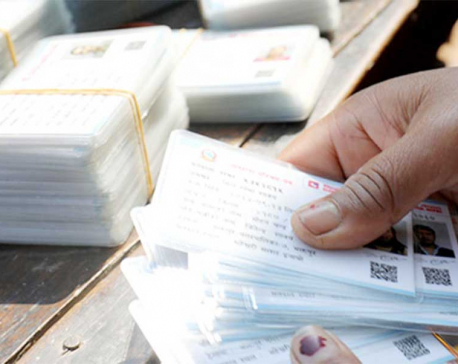 KATHMANDU, June 24: As part of its final preparations to conduct the second round of elections, the Election Commission (EC) is distributing voter identity cards from Sunday morning. "Stage is set for the second round of elections. 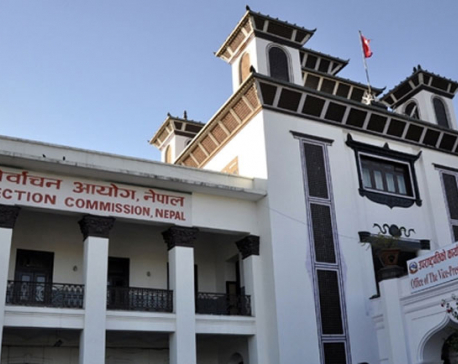 Voters can now collect ID cards from their respective polling centers from tomorrow morning," said election commissioner Narendra Dahal on Saturday. According to the EC, voters can collect ID cards from their respective polling stations until Tuesday. The election body has urged the voters to collect cards from their respective polling centers within the given deadline. However, the voters can cast their vote with the help of their citizenship certificate or voter ID card distributed in 2013's Constituent Assembly elections as well if they fail to collect the card due to some reasons. The EC is conducting the second round of elections in 334 local units of provinces 1, 5 and 7 on June 28. The elections will elect altogether 15,038 representatives including chiefs and members of the rural municipalities and municipalities and their ward committee members. As many as 63,000 leaders from political parties and independent individuals are contesting for the elections. Election materials such as ballot papers, ballot boxes, voter ID cards, polling screens and other logistics have already been sent to the polling centers while poll officers are preparing to set up election centers, according to the EC. "Everything is going smoothly. Security arrangement is also fine and political parties including those who have warned of obstructing the polls are busy in poll campaigns," said another election commissioner Ishwari Paudyal, who is currently in Province 5 in course of monitoring the poll preparations. Altogether 163,000 security personnel from Nepal Police, Armed Police Forced, National Investigation Department and Nepal Army have been mobilized for poll security. With poll preparations completed in all polling centers, the EC will enforce silence hours from Sunday mid-night. "Thereby, the parties should suspend poll campaigns and election officers will fix polling centers," said EC Spokesperson Surya Prasad Sharma.